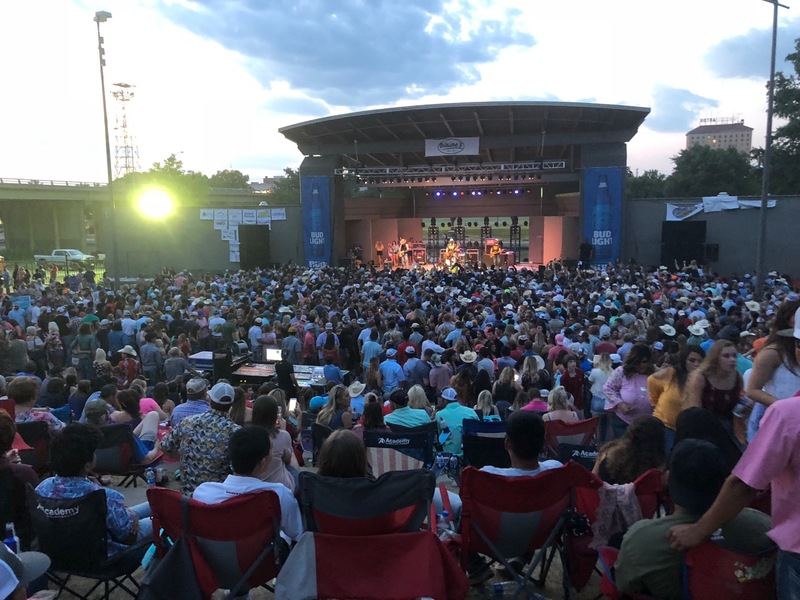 SAN ANGELO, TX — Starting at 5 p.m. on Friday evening, fans of Texas music converged on the Bill Aylor Sr. Memorial River Stage in San Angelo to rock out with Country music’s newest golden-boys, Koe Wetzel, Parker McCollum and Read Southall. The evening event benefitted the Wall, Texas agriculture programs. The high-energy concert kicked off with the Read Southall Band, a group consisting of four Oklahoma boys newer to the Texas Country scene than the show’s proceeding headliners. They were also from Oklahoma’s northwestern corner, from the home of Oklahoma State University in a city called Stillwater. “We’re really tryin’ to do something nontraditional, something really different and keep tryin’ to find that,” said Read Southall, the band’s front man. In the 100 degree heat, Southall and his band did just that, producing a sound that landed somewhere between Pearl Jam and Pat Green. The band brings the grunge rock sound that hasn’t been heard in the Texas Country Music scene since Cross Canadian Ragweed and Stoney LaRue, two patriarchal bands that fused Oklahoma’s Red Dirt music into Texas music more than a decade ago. The next hours of the concert could have just as easily been a garage jam between friends than a concert attended by thousands of fans. Parker McCollum took the stage with an intense energy, drawing the crowd in past the barriers, sometimes literally. The energy only increased into the evening. 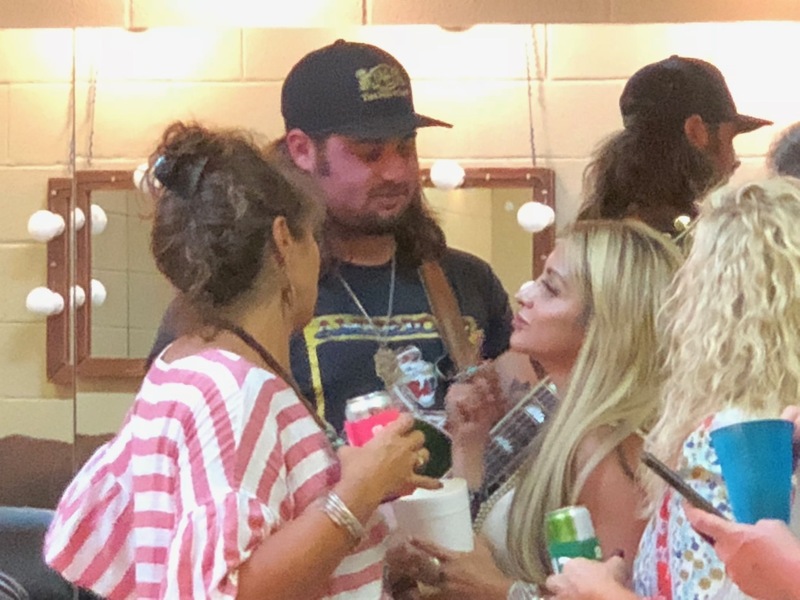 The crowd, estimated at about 5,500, was chanting Koe Wetzel’s name by the time the he stepped back on the stage in a city where the fans here helped launch his career. Wetzel rose out of Stephenville, and was soon discovered along Texas Country Music’s western corridor from Lubbock to Fort Worth. San Angelo’s Blaine’s Pub is on that portion of the popular music circuit and began booking Wetzel soon after his hit record titled Noise Complaint was released. Wetzel was the opening act only a year ago at the RiverStage’s Cody Johnson concert. Now he’s the headliner. New and dedicated fans alike responded to the three bands with chants, cheers, and even flying garments. Wetzel, McCollum, and Southall, who are informally touring together, will finish their summer tour in Nacogdoches after three other concert dates, one of which is in Oklahoma. The show sold nearly 4,200 tickets in advance. Hundreds of additional VIP tickets were sold out. 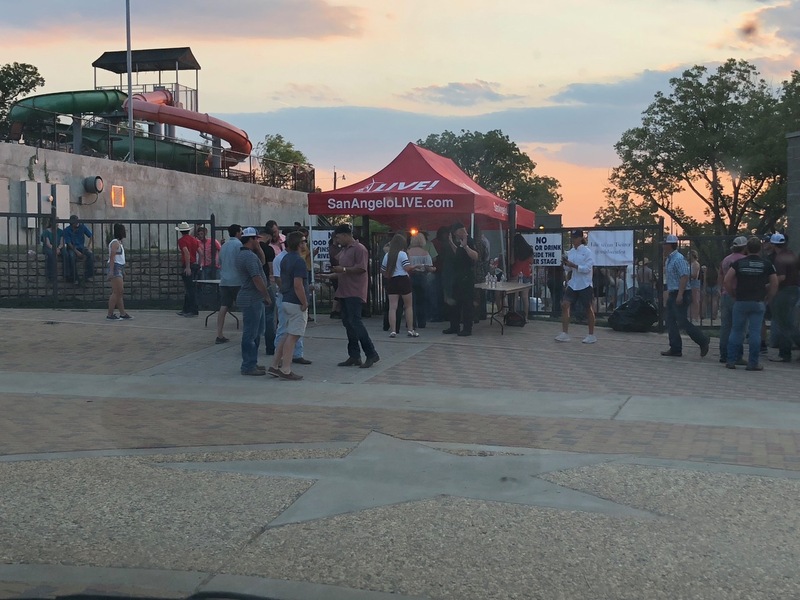 When taking into account tickets sold at the gate, the total audience was just under 5,500 people, making this likely largest paid concert in the history of the San Angelo RiverStage. This was a big and great show but not record breaking. Blaine’s Picnic used to draw bigger crowds. Of course that was before San Angelo Live was around and the city of San Angelo put a stop to it. Now those shows were huge!! the combination of lyrics an melody are sometimes like a hidden treasure that were just floating around in the air waiting for someone to pick up a pencil and paper and write it down. I heard that story a lot from musicians. They were just humming some tune all day and then realized it was something new.